Posted on August 12, 2016 by Michelle M.
The George Burns and Gracie Allen Show. 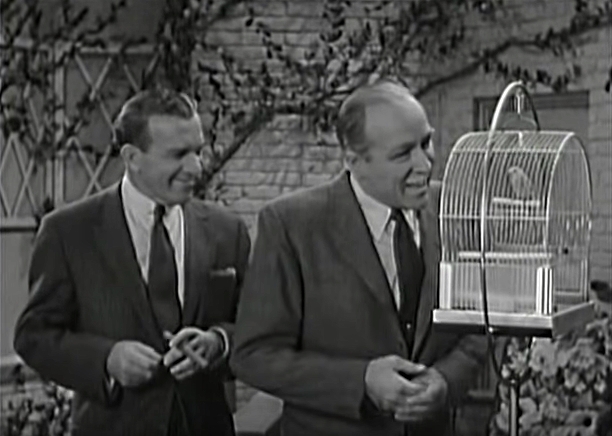 Vanderlip Leaves His Parakeet With George (Season 5, Episode 19). 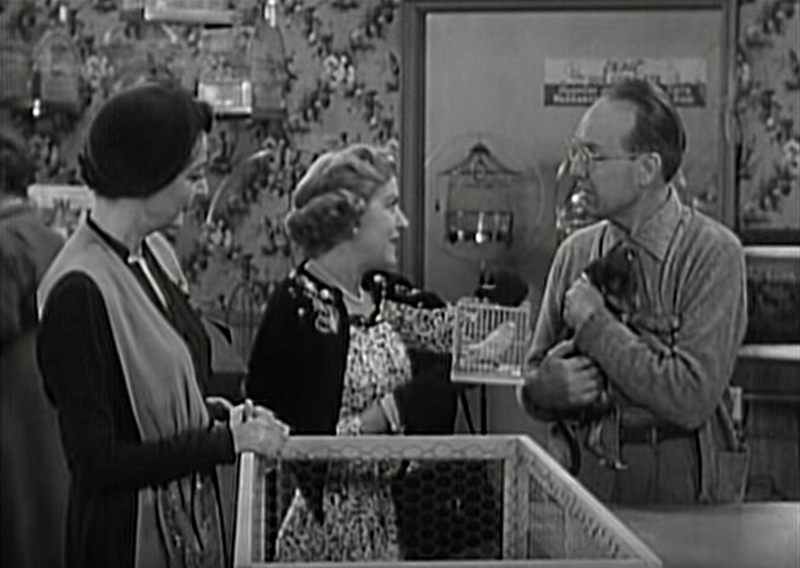 Mr. Vanderlip asks George to watch his budgie, Nancy, while he goes to San Francisco for a bankers convention. When Gracie sees the bird, she thinks it’s her anniversary present. Believing the budgie to be sad in its cage, she sets it free. When Gracie realizes her mistake, she replaces the bird with another budgie from the pet store. Then Nancy returns. 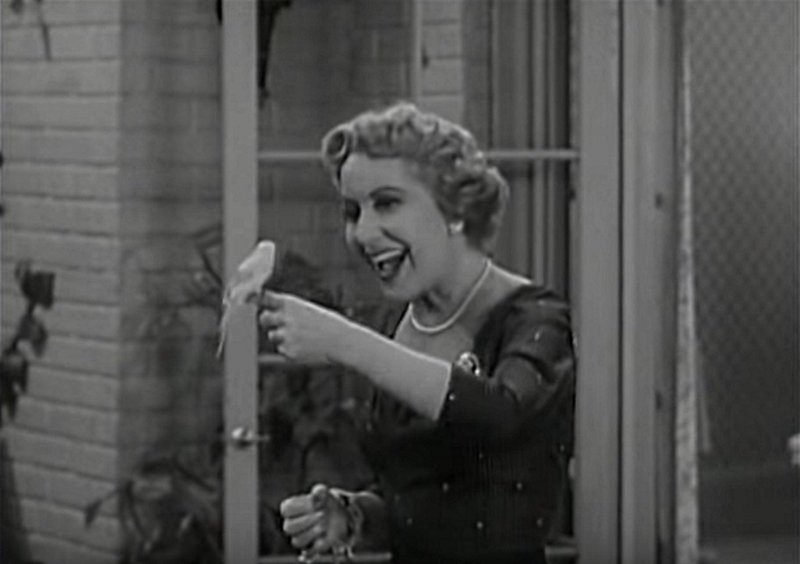 George, not knowing the bird is the “real” Nancy, lets it go. Eventually, everything is straightened out and Mr. Vanderlip and his precious Nancy are reunited. Full episode here. This entry was posted in Starring Roles and tagged budgie, budgies on tv, Cooper, parakeet, Starring Roles, The George Burns and Graice Allen Show, Vanderlip Leaves His Parakeet With George by Michelle M.. Bookmark the permalink. So cool! How in the world do you find these??? It takes a bit of Googling : ).